Beginning in the 1960s, Popular Electronics magazine had a long-running column titled "Solid State" that reported on the newfangled science. 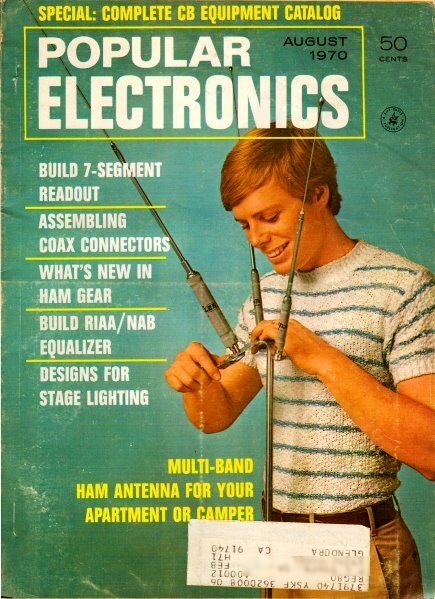 Even in 1970, there were still people who distrusted solid state electronic devices in terms of reliability and ruggedness. Their skepticisms were not totally without merit at the time. However, advances were occurring at a very rapid rate. This particular Solid State report describes how charge coupled devices (CCD) might someday serve as photographic imagers because of their efficiency at converting photon impingement to electric charge in potential wells and the subsequent serial shifting of the data to an output port. It also raves at the development by Motorola of RF power transistors (40 W) that exhibited useful gain way up into the 25 MHz realm. Employing principles never before used in semiconductor technology, scientists at the Bell Telephone Laboratories have created a new class of low-cost, reliable electronic devices suitable for use in logic, imaging, and memory applications. Dubbed Charge Coupled Devices (CCD's), the new units perform many of the functions of more complex integrated circuits, yet are simple and easily fabricated. As illustrated in Fig. 1, a typical CCD structure consists of three layers: metal conductors, an insulating layer of silicon dioxide, and a base of homogeneous silicon semiconductor material. The basic technology is applicable to a wide range of semiconductor-insulator systems, however, and is not restricted just to those materials in which it is possible to form p-n junctions. A CCD creates and stores minority carriers (electrons or holes) in spatially defined depletion regions called "potential wells" near the surface of the semiconductor. In Fig. 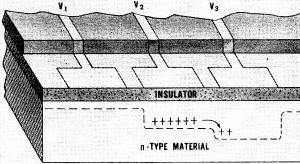 1, an n-type semiconductor is used and the minority carriers are holes at the semiconductor-insulator interface. Fig. 1 - A CCD structure consists of three layers: metal conductors (V1-v3), insulating layer of silicon dioxide, and base of homogeneous silicon semiconductor material. Fig. 2 - Experimental CCD 8-bit shift register shown in photo is so small, it can be passed through eye of needle. In operation, the potential wells are produced and moved by an array of metallic electrodes. The electrodes normally are made negative with respect to the semiconductor base. When voltage is first applied, there are no holes at the interface and the potential is divided between the semiconductor and insulator. Holes introduced in the depletion region by avalanche multiplication, or other means, collect at the interface causing the potential to become more positive. The minority carriers forming the potential wells may be moved from under one electrode to an adjacent electrode on the same substrate by applying a more negative voltage to the adjacent electrode. The sequence may be repeated, as needed, to move the carriers (and wells) in any desired direction. When required, the resulting charge pattern can be detected and measured by other electrodes. Although still in its developmental stage, the CCD technology already has been used to fabricate a number of useful devices, including the experimental 8-bit shift register illustrated in Fig. 2. Future units may include other logic and switching devices as well as CCD image sensors, in which potential well patterns would be created through photoelectric action by light images focused on the back side of the semiconductor substrate, then read out using the metal electrodes. Reader's Circuit. The sequential lamp control circuit of Fig. 3 was submitted by reader Paul Schultz (6208 Templeton Drive, Carmichael, CA 95608). If coupled to a conventional electromechanical or thermal flasher switch, it can be used as an automotive sequential-type directional turn signal. In addition, the basic circuit can be employed in moving-light advertising displays, in warning systems, and in other similar applications. In operation, lamp I1 lights as soon as power is applied. Meanwhile, C1 is charged slowly through R1 and R2, eventually firing Q1 and developing a voltage pulse across load resistor R4, which triggers SCR1 on, lighting lamp 12. With SCR1 on, C2 is charged through R3 and R4, firing Q2, which triggers SCR2, lighting lamp I3. The three lamps remain lit until circuit power is interrupted and restored by the external flasher switch, at which time the cycle repeats. The lamps are ordinary 12-volt automotive bulbs. With neither layout nor lead dress critical, the builder can duplicate the project using any construction technique. Although not essential in most applications, heat sinks can be provided for the two SCR's as a precaution against overheating. Two complete units are required, of course, for automotive turn-signal applications. Usually, the controls can be mounted in the car's luggage compartment. After installation, sequence timing resistors R2 and R4 must be adjusted for optimum performance in conjunction with the car's regular flashing switch (that is, so that the full sequence is completed during each flashing interval). If the control unit is used in non-automotive service, these timing controls are adjusted to achieve the preferred display effect. Fig. 3 - If coupled to conventional electromechanical or thermal flasher switch, circuit shown can be used as auto sequential-type turn signal. Device Developments. Four new types have been added to Motorola's exclusive line of silicon pnp r.f. 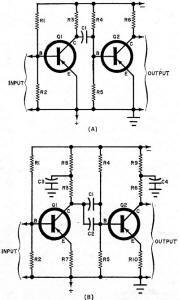 power transistors. Identified as types MM4020 through MM4023, the new devices offer output power ratings ranging from 3.5 to 40.0 watts, with gains from 11.5 to 4.5 dB. Designed for 12.5-volt VHF large-signal amplifier applications at frequencies up to 20 MHz, the new transistors feature balanced emitter construction in which thin-film nichrome resistors are in series with each of the multiple emitters to distribute power evenly throughout the chip. This technique prevents "hot emitters" and results in rugged devices which stand up under the high voltage standing-wave-ratio conditions sometimes occurring in mistuned r.f. systems. All four devices are supplied in strip-line packages with minimum series lead inductances. For complete specifications, contact the Technical Information Center, Motorola Semiconductor Products, Inc., Box 20924, Phoenix, AZ 85036. Motorola also has introduced a new series of silicon power Darlington devices. In a monolithic construction, both transistors and their compensating emitter resistors make up the configuration on a single chip. The new units offer minimum d.c. betas of 1,000 at VCEO ratings of 60 and 80 volts. Type numbers are MJ900 and MJ901 for the pnp units and MJ1000 and MJ1001 for npn. A new crystal-controlled microcircuit oscillator has been announced by TRW Semiconductors (14520 Aviation Blvd., Lawndale, CA 90260). The new unit model, MCOF, operates in the 5-MHz to 25-MHz frequency range, offering a frequency stability of 0.003% from -55°C. to 125°C. Contained in a 4-lead TO-5 package, the device uses thin-film capacitors and resistors on a single substrate and is designed specifically for applications as the local oscillator for the second mixer in dual conversion receivers. Operating voltage is 1.8 to 5.0 volts, while the output ranges from 0.35 to 3.0 volts r.m.s. into a 1,000-ohm load. Practical Publications. A cross reference guide of IR universal replacement transistors and rectifiers is now available from International Rectifier's Semiconductor Division. Folding to a handy 3" x 5 1/2" size, small enough to fit a shirt pocket, the booklet lists IR types corresponding to devices offered by Motorola, GE, RCA, Sylvania, Delco and Tungsol, covering the most popular transistors and rectifiers used in professional servicing, hobby projects, and technical experiments. In addition, transistor and rectifier specifications for all the IR devices listed are presented in easy-to-use tabular form. For your copy of this informative guide, write to International Rectifier, Semiconductor Division, Dept. 781, 233 Kansas Street, EI Segundo, CA 90245. Texas Instruments, Inc. (P. O. Box 5012, Dallas, TX 75222) has recently published an extremely useful 8-page booklet entitled the Design Assistance Directory, Bulletin CM-102C. Listing a wide range of literature resources covering solid-state circuit applications and design techniques, the publication includes abstracts describing textbooks, brochures, catalogs, and application reports. Transitips. A common problem facing the serious hobbyist is that of improving or modifying the performance of an existing circuit design. While space limitations prohibit an exhaustive discussion of all available techniques, we'll try to cover various aspects of the problem from time to time - starting, this month, with a look at the techniques for extending the low frequency response of an R-C coupled amplifier. 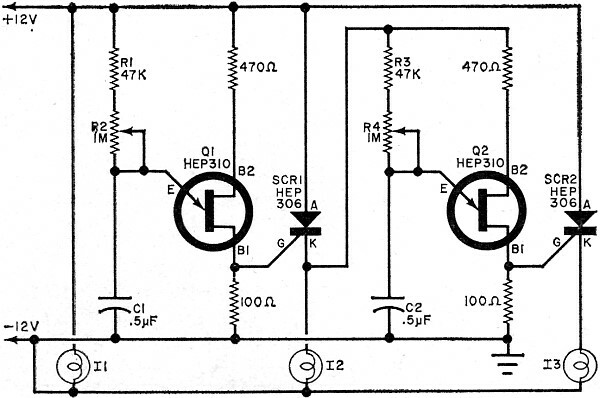 Consider, first, the basic two-stage amplifier circuit illustrated in Fig. 4A. Here, voltage-dividers R1-R2 and R4-RS establish base biases for Q1 and Q2, respectively, while R3 and R6 serve as corresponding collector loads. 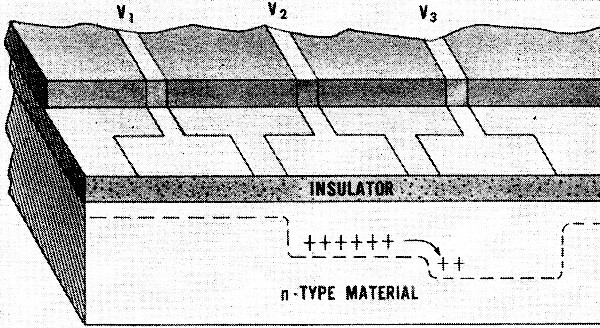 Capacitor C1 provides inter-stage coupling. 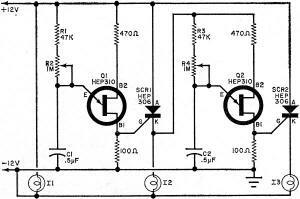 The important factors affecting the circuit's low-frequency response are the size of the coupling capacitor (C1) and the input impedance of the following stage. In practice, the coupling device and the input impedance form a frequency-sensitive voltage divider. One technique for extending the low-frequency response is simply to use a larger-valued coupling capacitor - either substituting another unit, or connecting a second capacitor in parallel with the first, as C2 in Fig.4B. Fig. 4 - Low-frequency response of amplifier shown at (A) can be improved by changes shown in (8) circuit. Another technique is to raise the effective input impedance of each stage. This can be accomplished at a loss in overall gain by adding unbypassed emitter resistances, as R7 and R10 in Fig. 4B. The value of the resistors used will vary considerably from one circuit to another but, in general, will range from a few ohms in the case of power transistors (or even a fraction of an ohm for multi-watt stages) to as high as several hundred ohms where low-signal levels are involved. A final technique, commonly used in oscilloscopes and some instrument amplifiers, is the use of a low-frequency "boost" network. 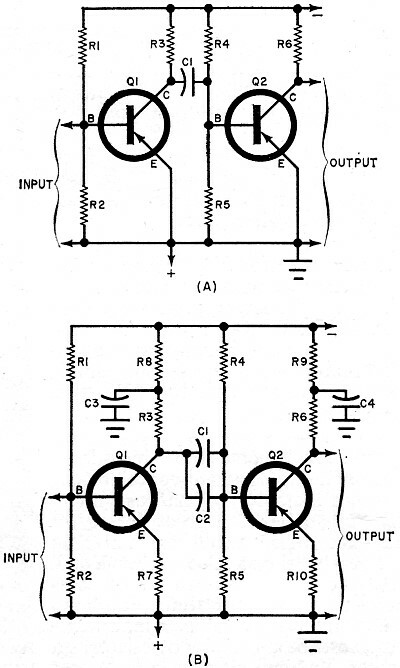 In general, this takes the form of a simple L-type circuit, as illustrated by C3-R8 and C4-R9 in Fig. 4B. 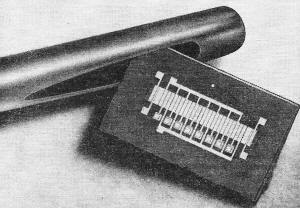 At the same time, somewhat smaller main load resistors (R3 and R6) are used. The net effect is to establish a frequency-sensitive load which raises the stage's effective gain at low frequencies. In the first stage (Q1), for example, R3 serves as the prime collector load at mid-range and high frequencies, because C3 acts as an effective mid-to-high frequency bypass device. As lower frequencies are ap­proached, C3's impedance increases and R8 becomes a part of the collector load. The lower the frequency, the higher the load impedance and the greater the stage's gain. The component values needed will vary considerably with the specific circuit parameters. Generally speaking, however, the prime load resistor (R3) might be reduced to two-thirds or one-half of its original value, with the secondary load (R8) making up the difference. The boost capacitor (C3) may range in value from one to as high as 20 μF depending on the amount of boost needed. That's it for August - until next month, keep boosting!